Brace yourselves. 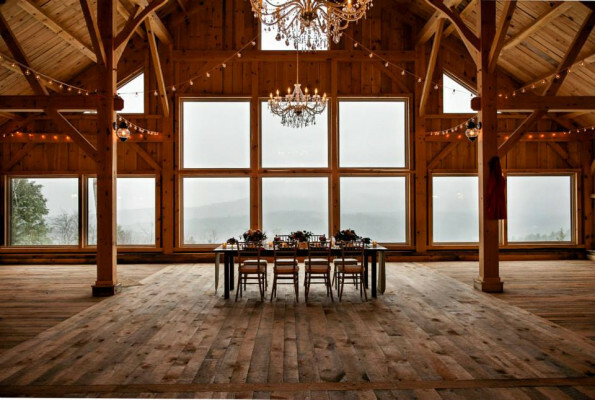 This beautiful lodge & barn is magnificent and magical atop a 1000-ft. high mountain. This is rustic luxury at it's finest, folks. Perfectly paradisiacal panoramic views and 128 private, surrounding acres make this a marvelous space for your prettiest party. 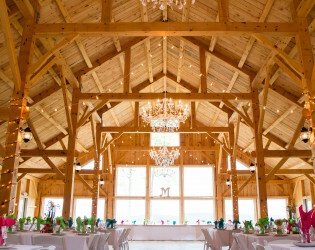 Nestled deep into the Maine countryside 1000 ft into the sky sits Granite Ridge Estate. Privately cascaded into the mountainous landscape of Maine this resort will instantly relax and comfort its guests. It is hard not to unwind as you are engulfed in fresh air and panoramic views of Maine in its most glorious state. 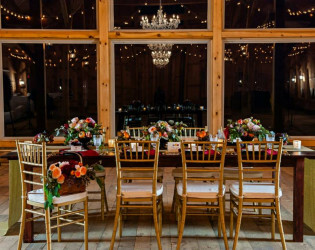 Once a family\\\\\\\'s luxurious get-away, Granite Ridge Estate has since been transformed into Maine’s top exclusive wedding destination. 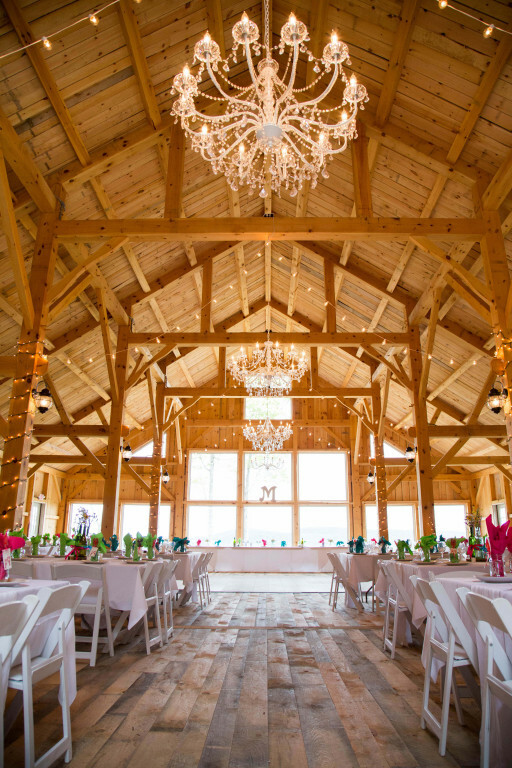 With the addition of the hand-crafted timberframe constructed barn, Granite Ridge Estate now offers Brides-to-be a place to marry in style while still having the exclusivity of a Maine Wedding. 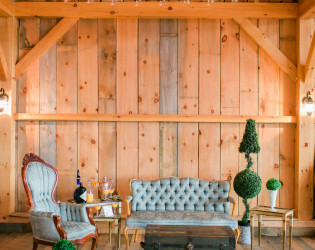 The extravagant barn provides enough room for up to 233 guests, ample floor space, and an adjacent cocktail reception patio. 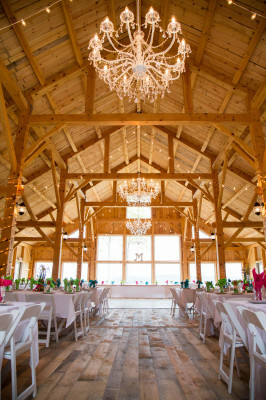 Prepare to be dazzled by the exquisite chandler hanging from the 28 ft ceilings as you dance the night away under the moonlight of Maine. 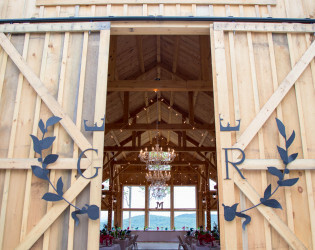 Granite Ridge Estate and Barn caters to all things luxury. 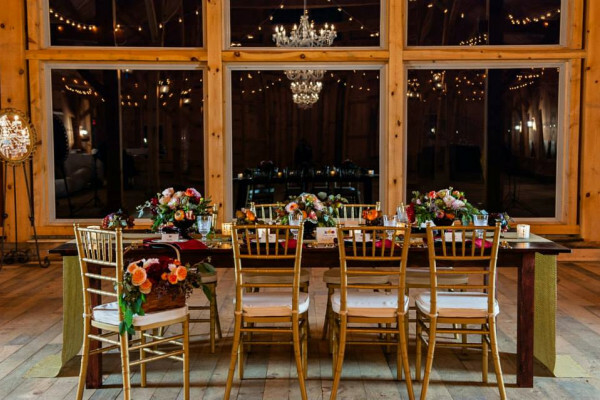 The estate hosts exclusive parties, corporate retreats, A-list Weddings, and celebrity get-aways. Lavish details can be found from the moment you set foot onto the 123 acred property. 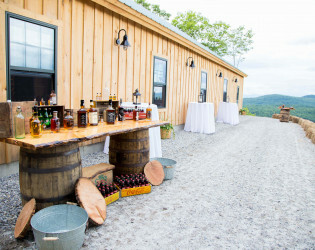 Guests will be pampered by the onsite lodge offering a state of the art commercial kitchen, cathedral ceilings, over-sized granite fireplace, and an outdoor hot-tub overlooking the Maine mountain-side. Gracing the list at number three in Maine Magazine\\\\\\\'s 2015 Wedding Issue, Granite Ridge Estate and Barn has become a top wedding venue for Brides seeking a Maine Destination Wedding. The venue is open for events after Memorial Day Weekend. 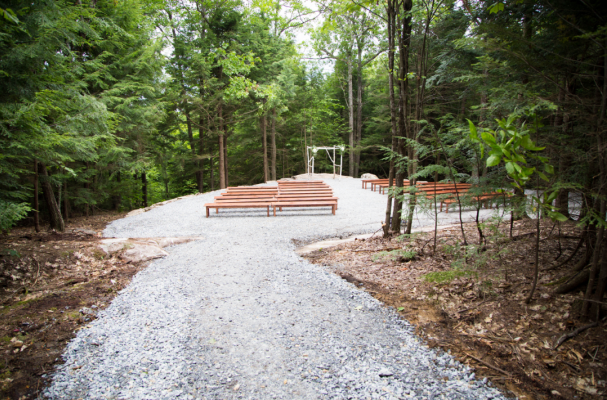 Due to the "Maine Mud Season" we choose not to book weddings during the early spring season. We are open for events Summer, Fall, Winter, and late spring. Granite Ridge Estate Lodge is available for 12-15 guests. 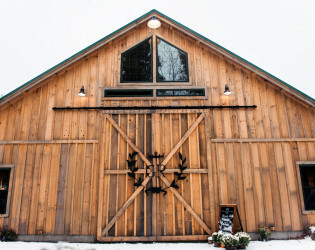 The lodge is offered to all couples who book their wedding at the Granite Ridge Estate and Barn. When you book an event at Granite Ridge Estate and Barn you are not only booking our venue for your special day but you are booking an entire private mountain for the entire weekend! We have a policy at Granite Ridge Estate that guests must come prepared to relax! Leave the incidentals to the on-site concierge. Call ahead with a grocery list and have the gourmet chef grade kitchen fully stocked for your getaway. Take a dip in the hot-tub under the Maine moonlight and experience the complete serenity of Granite Ridge Estate. 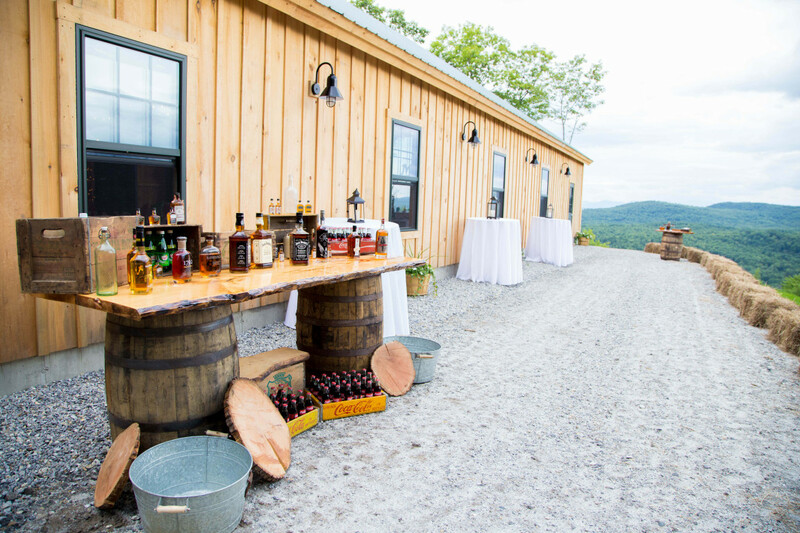 Guests will be privately shuttled up a private road to the top of a private mountain. 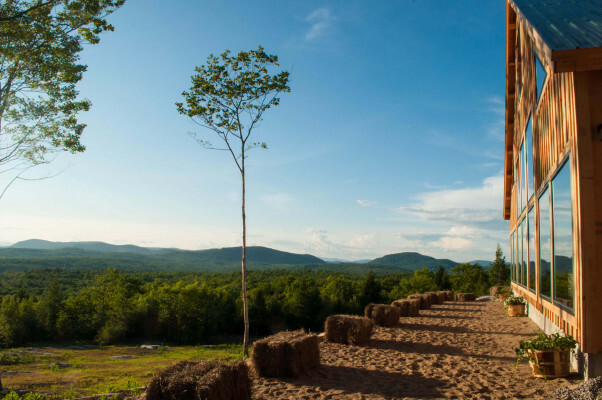 Once they arrive they will be greeted with panoramic views of the Maine mountain side. 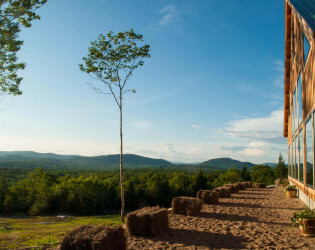 You can see miles upon miles of the Maine countryside. You will feel completely relaxed and at ease once you enter the estate to unwind. The Granite Ridge estate lodge comfortably hosts 12-15 guests. Guests are encouraged to relax in the outdoor hot tub blanketed by the Maine moonlight. Granite Ridge Estate sits upon 123 acres of private land. You can enjoy hiking trails, cross country skiing, nature walks, bird watching, campfires, and more. Norway Maine is the home to Granite Ridge Estate. Granite Ridge on the very top of Holt Hill on Maine Gazetteer. Guests enjoy traveling to the bustling, picturesque downtown Norway to explore Maine culture and shop local businesses. 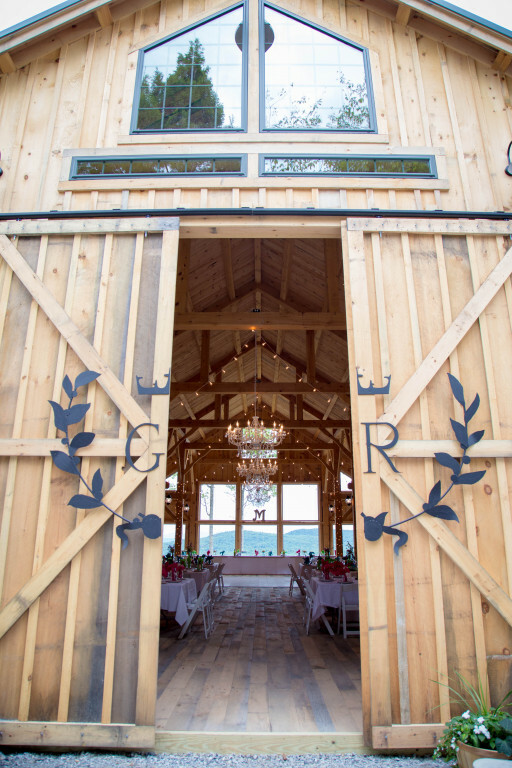 The Granite Ridge Barn is a 3,500 square foot hand-crafted timber-framed rustic masterpiece. 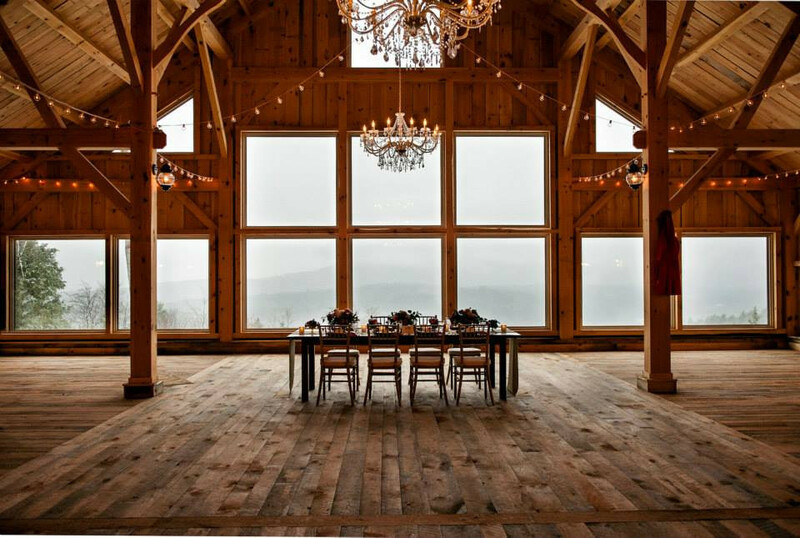 With 3 glamorous chandlers strung from the 28 ft cathedral ceilings and an entire wall of glass the Maine landscape becomes a focal point of the decor. 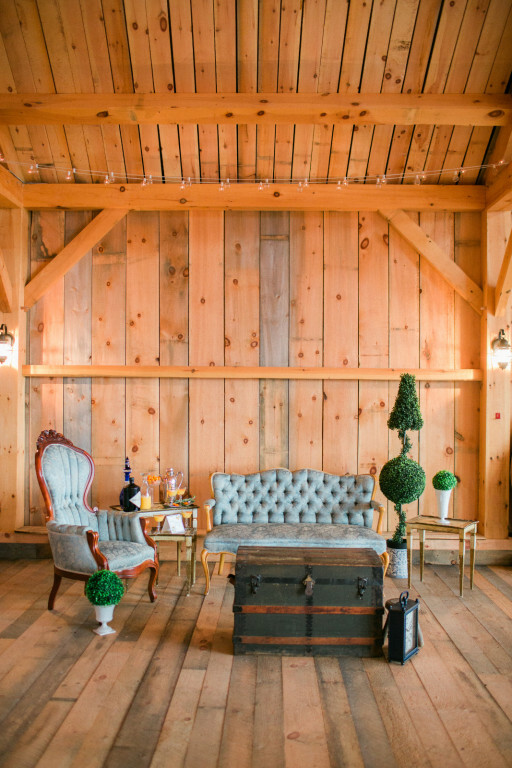 The Granite Ridge Lodge is centered around the 18 ft granite fireplace in the main living room. It is by this fire many guests relax and enjoy the panoramic views of Maine through the oversized adjacent wall of windows. Bedrooms within the lodge can be seen sporting full sized logs along the corners giving each room a unique and rustic appeal. 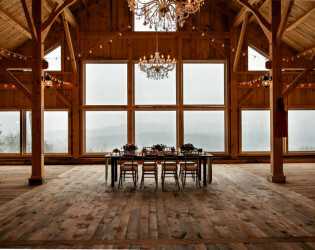 Granite Ridge Estate and Barn sits upon its own private mountain top with panoramic views of the Maine Mountain side. Privacy and exclusiveness is the driving factors to booking with Granite Ridge Estate. Granite Ridge believes in the overall event experience. When guests book with us they get exclusive rights to the entire property from Thursday through Sunday. They will feel like celebrities the moment they are picked up via limousine in downtown Norway Maine. 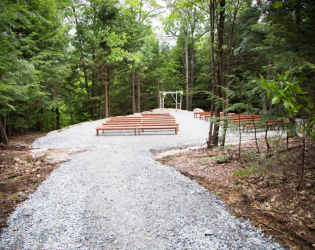 Granite Ridge Staff Onsite 24/7 On day wedding coordination Wooded Ceremony site Cocktail Patio Basic Shuttle Service from Norway Town Center via Limousine On-site bathrooms Use of property for engagement photos Rental of Lodge and Barn for 3 Nights which includes sleeping accommodations for 12- 18 people. Rustic chic Barn with modern amenities. 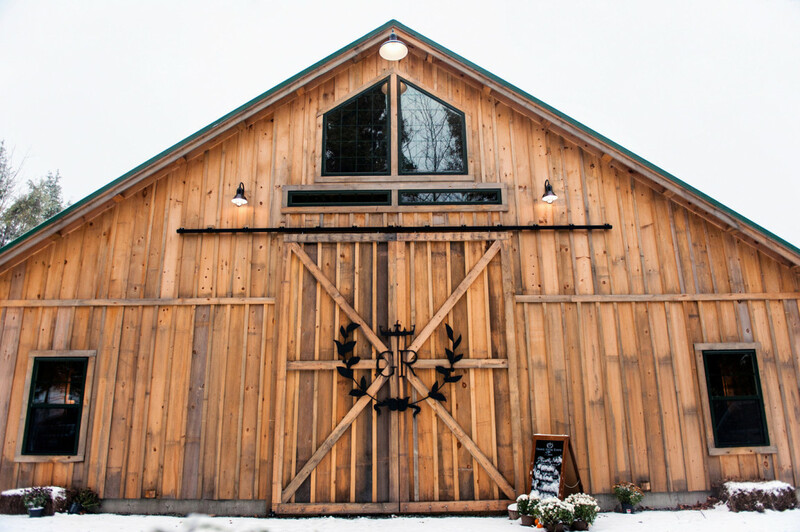 The Barn is a hand-crafted timberframe constructed masterpiece with 28 ft cathedral ceilings. Modern gourmet chef's Kitchen with state of the art appliances. Fully-stocked kitchen and grocery shopping available for additional fee.